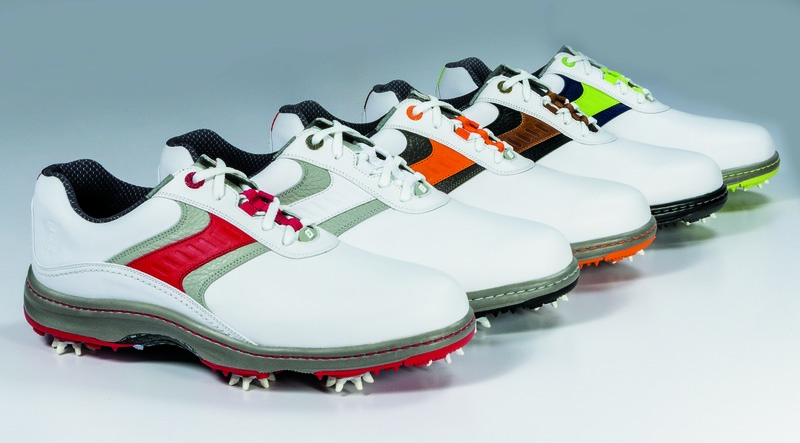 FootJoy has revamped its popular Contour Series of golf shoes, it says, to be even lighter, more flexible and more comfortable than its predecessors, while still delivering good fit and feel. Developed specifically for this shoe, FootJoy says the new model features a new premium UltraSof ThinSpec full grain leather that is softer and thinner while still providing superior durability, breathability, as well as a two-year waterproof warranty. The company says a new ergonomic contoured Fit-Bed provides “superb underfoot cushioning’’ and support while accommodating more than one thousand different feet shapes. 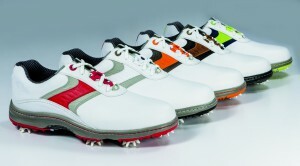 The redesigned SporTongue, according to FootJoy, is lighter, more comfortable and more breathable; a SofCollar has been incorporated into the shoe, providing a custom fit and enhanced comfort around the ankle; and a Fine-Tuned Foam midsole is lighter and softer for out-of-the-box comfort that doesn’t compress or harden over time. Each shoe in the new Contour Series features replaceable Fast Twist Zarma cleats by CHAMP. The new Contour Series will be available in 10 colors beginning Oct. 15 and will carry a suggested retail price of $135 per pair and $155 with BOA technology.